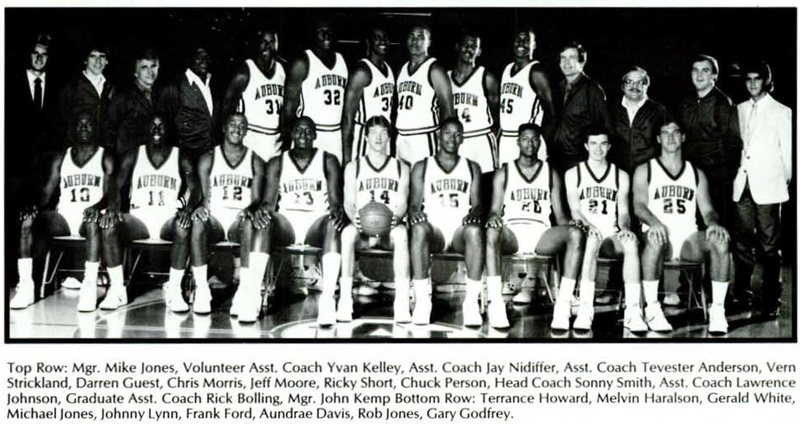 The 1985-1986 Men’s Basketball Tigers paved the way . 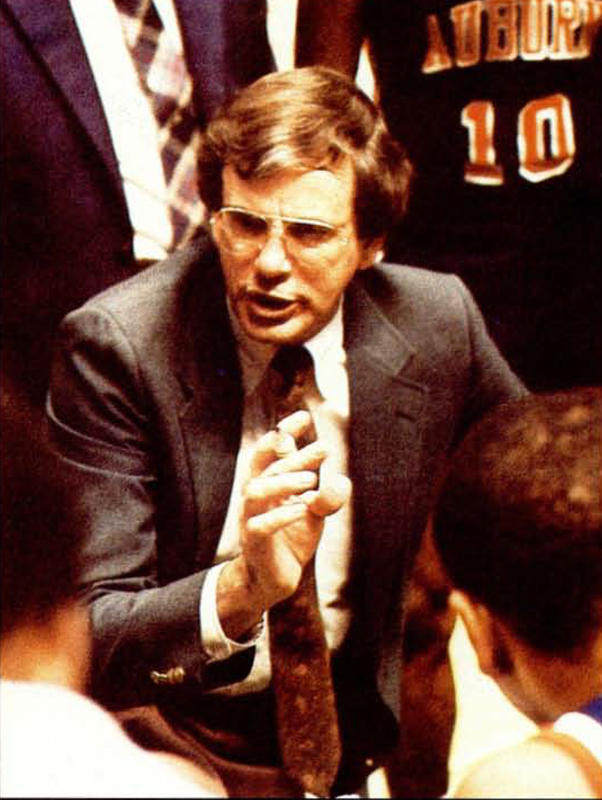 Led by former head coach Sonny Smith in his eighth season at Auburn, the 1986 Basketball Tigers made the then-deepest NCAA Tournament run in school history by attaining a spot in the Elite 8 against second-seeded Louisville. 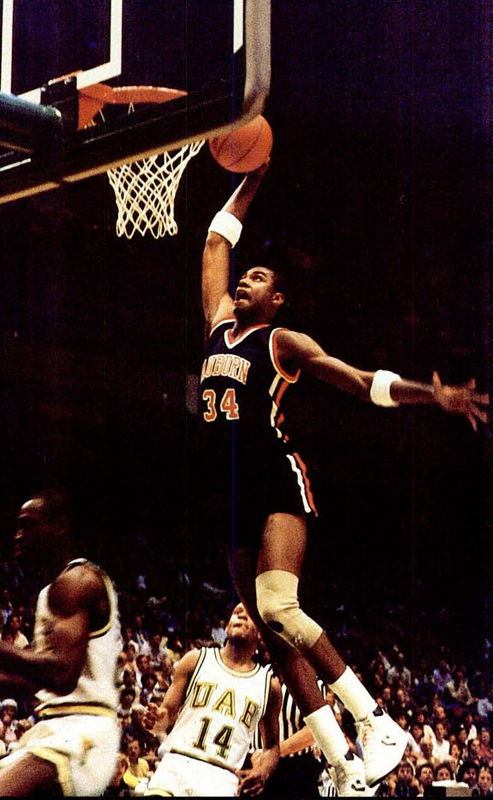 It was the same year the 45-second shot clock was introduced, and the so-called “lack of action” count was abolished. Ranking tenth in the pre-season AP Poll, the Tigers finished the year 22-11, with a 13-5 Southeastern Conference regular-season record just behind Kentucky and Alabama. 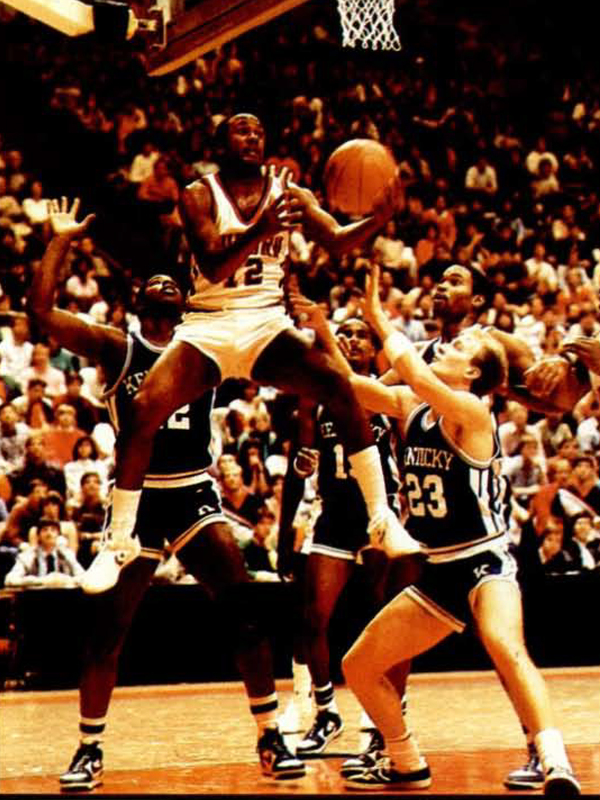 Yet, after winning the SEC Championship for the first time in the program’s history the year prior against Alabama, the Tigers came up short against Mississippi State in the 1986 quarter finals. But the loss didn’t deter them. As the No. 8 seed in the West, the team took the at-large bid into the NCAA Tournament and ran deeper than any Tigers before them. The legendary run commenced in Long Beach, California against ninth-seeded Arizona, which featured future NBA stars Sean Elliot and Steve Kerr, currently the head coach of the Golden State Warriors. After a hard-fought battle that saw Mike Jones and Gerald White each finish with 12 points, Auburn was able to quell a two-point halftime deficit for a 73-63 win over the Wildcats. The Tigers continued their prowl, going on to upset No. 1 seed St. John’s University in the second round 81-65 to advance to the Sweet 16 for the second season in a row and just the second time in Auburn history. But that year, the Tigers came hungry not to repeat the prior year’s loss to UNC. Leading the charge against fourth-seeded University of Nevada, Las Vegas, White scored 12 and Jeff Moore finished with 11. After falling behind by nine, the Tigers rallied in the second half to defeat the Rebels 70-63. Auburn was officially on its way to its first-ever Elite 8 appearance against Louisville. With three minutes left on the clock, the Tigers led the Cardinals by one, but the Cardinals charged seized a late lead for an 84-76 victory, placing them one game closer to their second NCAA National Championship title and ending the Tigers record season. 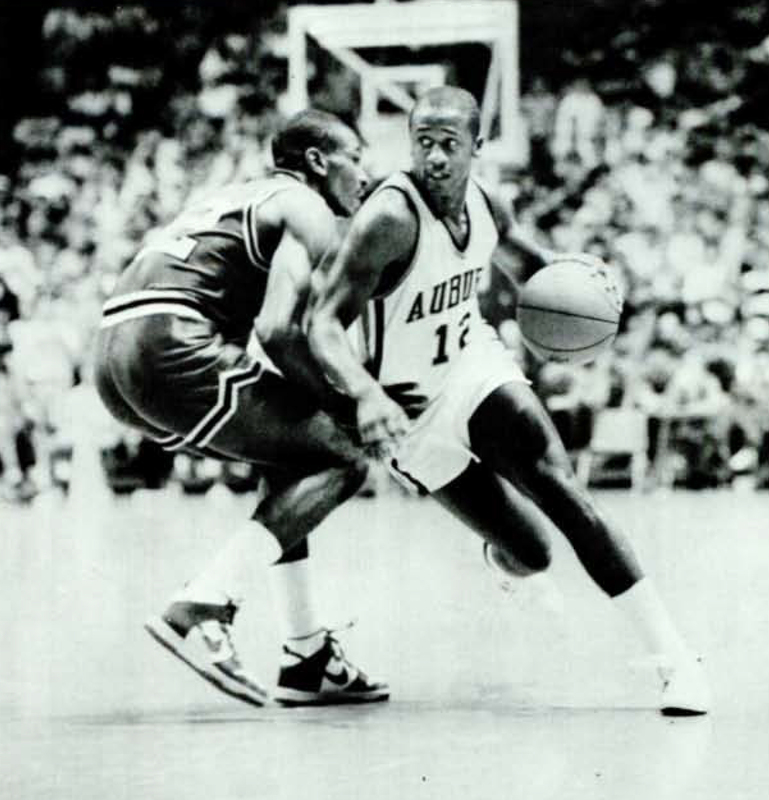 But, regardless of the outcome, the 1986 Tigers set a merit elusive to 33 years of Auburn men’s basketball following. “We made a run, a good one. Auburn basketball isn’t consistent like football, but in that time, we were a basketball school,” Smith says. And this year, Auburn is one again. Led by stars Jared Harper and Bryce Brown, the 2019 Basketball Tigers defeated second-seeded Kentucky in the Elite 8 match-up on Sunday, officially breaking the record-run set by Smith and his ’86 team. The Tigers advanced to the Final Four in Minneapolis against first-seeded Virginia on Saturday.